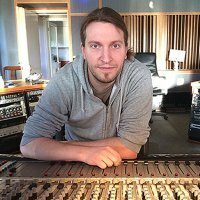 Anybody else working in video game audio? Just out of curiousity, is there anybody else working in game audio and using Samplitude/Sequoia? From my personal experience, most of the freelancers and inhouse sound designers are using either Protools or Nuendo with a growing share of Reaper users. I used to do tons of dialogue editing for video games in Samplitude. The wave editor was great for that, very fast and declicker etc helped often too. Not doing any of that anymore lately but Sam works great for sound design too.